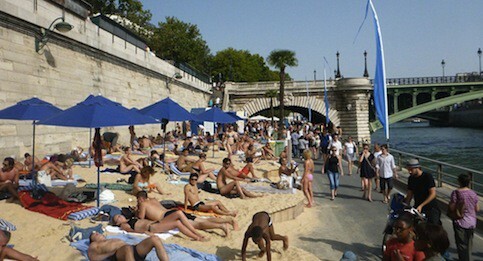 This July 20th through August 18th, the Paris beach returns to the banks of the Seine. This man made beach was first added to the legendary riverbanks in Paris in 2002 and has been a can't-miss attraction since. Locals and tourists alike flock to the riverbanks to lounge, play sports, enjoy a cocktail and take in some of the world's best people watching. While there are several of these beaches designated along the Seine, the most popular is the stretch in front of the Hotel de Ville which has loads of activities like volleyball, mini-golf, and of course, soccer. If that part of the beach is too busy for your tastes, you can head over to one of the quieter sections. Or, if you want to get a workout in, you can also rent kayaks and take in some of the world's most famous sites via the water.